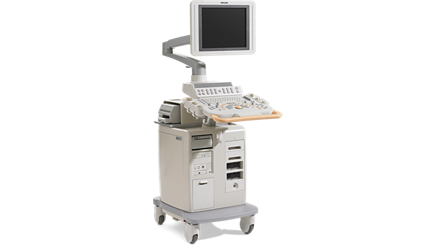 The Philips HD11 ultrasound offers complete portability and ease-of-use, without sacrificing the high-definition quality of resulting images. The Philips HD11 ultrasound allows users to move seamlessly through 2D and Doppler modes right into breathtaking 4D quality. The architecture of the Philips HD11 emphasizes reliability, as this ultrasound supports continuous, precise, quantitative volume acquisition and display with easy, simultaneous visualization and measurement in three planes. Furthermore, the Philips HD11 ultrasound optimizes images through its 2D imaging Pulse inversion harmonic imaging, 3D imaging, adaptive color Doppler, panoramic imaging, SonoCT, and Xres processing.